The Superlative. BEST, MOST and BRIGHTEST. Extraordinary boy wonder and ineffable man of the hour, Jason Michael Arthur, 36, died January 6, 2017 in Pompano Beach, Florida. Always best dressed and fashionably late, lighting up rooms and making strangers feel like old friends. 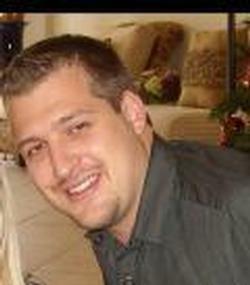 Jason was born April 7, 1980 in Lima, Ohio to George P. Arthur Jr. and Christina J. Arthur. He graduated from Thomas Worthington High School in 1998 and later studied at The Ohio State University. He was a giant among men; a kind soul, animal whisperer, film critic, real life MacGyver and junk food extraordinaire. He was a fine artist, inventor and dreamer of extraordinary dreams. Jason designed sports cars and commissioned portraits in his spare time. He loved stand up comedy, Cinnamon Toast Crunch, Honeybuns and a good pair of jeans. Jason was a beloved son, brother, father, uncle, friend, and nephew and he will be dearly missed. He is survived by his father George P.(Candi) Arthur Jr from Boca Raton, FL and his mother Christina J. Arthur of Columbia, SC. Along with former wife Carla Pastore and wife Rayna Arthur, and his greatest loves of all, his daughters Halli Arthur and Aaliyah and sons Yusef and Alexander. He is also survived by sisters Melissa (Thom) Bristol of Columbia, SC and sister Whitney (Tommy) McGregor of Greenville, SC. Along with four nephews Ewan, Leighton, Liam & Larsson and two nieces Lilly Grace & Thyra. And brother Jared Resnick of Plantation, FL. Aunts and uncles Vicki (John) Kreuchauf of Temperance, MI, Brenda (Steve) Snyder and Valorie (Thom) Kuhn; Kathy (Leo) Connors of Lima, Ohio. William (Eileen) Whitney, Jerry (Karen) Whitney, Laurie (Doug) Whitney Frueh and Michael (Allison) Whitney all of Cincinnati, OH. Michele Whitney Biggerstaff, Greg (Deb) Whitney of Columbus, OH and Meg (Tom) Castleman, Lisa (Jim) McMullen of Dayton, OH and Jamie Whitney (Bob) Fitzgerald, NY. Service will be at The Gardens of Boca Raton, FL on January 13, 2017 at 2:00 PM. Which is the Jason M. Arthur Memorial Fund to benefit his young children.